This is definitely a Do-It-Yourself culture. Many Floridians write their own wills, file their own divorce papers, and bring cases in small claims court, all without the help of a lawyer. But a bankruptcy case is different. Not only do you want to get it right the first time, but studies reveal that you are more likely to get your debt discharged if you have a lawyer fill out the paperwork and file for you. Below are some of the advantages of hiring a bankruptcy attorney. Generally, consumers can choose between filing a Chapter 7 or a Chapter 13 bankruptcy. There are advantages and disadvantages to each, and a bankruptcy lawyer can help you choose between them. For example, with a Chapter 7, you can quickly discharge unsecured debts like credit card and medical debt. This can free up money for other expenses and give you immediate peace of mind. However, on the downside, you might lose personal property like your home, which the trustee can sell in some circumstances to cover your debts. By contrast, you can keep your home and car in a Chapter 13 provided you continue to make monthly payments. On the downside, you will need to stick to a repayment plan for three to five years. At Nowack & Olson, our Florida bankruptcy attorneys will discuss your financial goals and identify which bankruptcy works best for you. 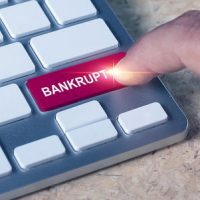 Bankruptcy paperwork is complicated, and busy people do not have the time to learn the intricacies of what information they need to disclose. Studies have confirmed that hiring a lawyer dramatically improves your chances of obtaining a discharge. A study from the Central District of California Bankruptcy Court shows that people who file pro se without an attorney have less success getting their debts dismissed. While 94.5% of bankruptcy filers with an attorney received a discharge of their debts, only 60.9% of pro se filers did. Put differently, pro se filers increased their chances of being denied a discharge by almost 800%. In a Chapter 7 bankruptcy, you must attend a Meeting of Creditors, where you must answer questions under oath. If your creditors choose to attend, they can ask you questions about the location of your assets and why you made large payments to other people during the past year. Although these meetings are usually uneventful, you never know if a creditor might try to ask a sneaky question. With a bankruptcy lawyer at your side, you are in a stronger position to fend off the creditor. If are struggling to pay bills, bankruptcy might be on the horizon. Instead of attempting to navigate the maze of bankruptcy forms and deadlines all by yourself, you should consult Nowack & Olson in Florida to protect your rights.